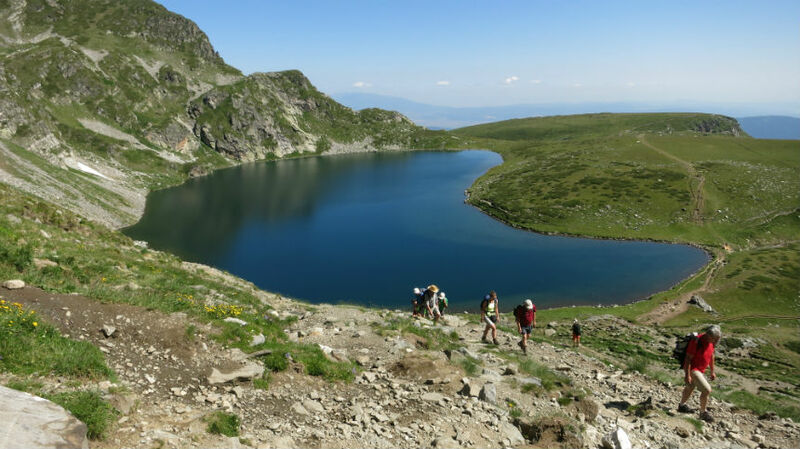 Day Hike To The Seven Rila Lakes From Sofia. 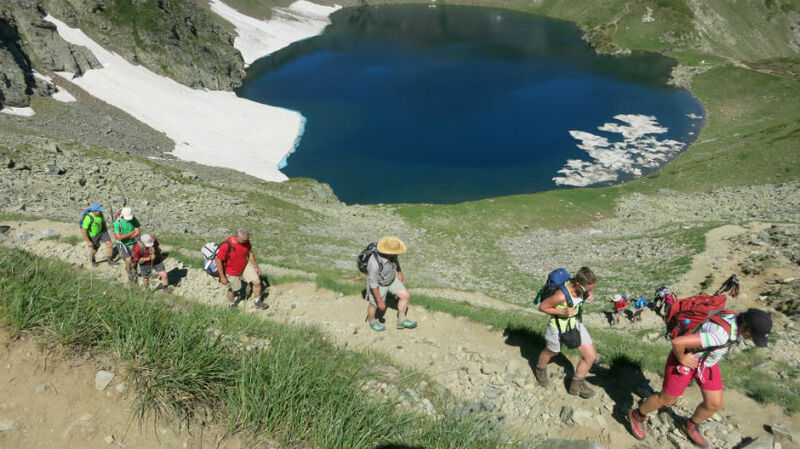 Daily Walking Excursions To Rila Mountains. 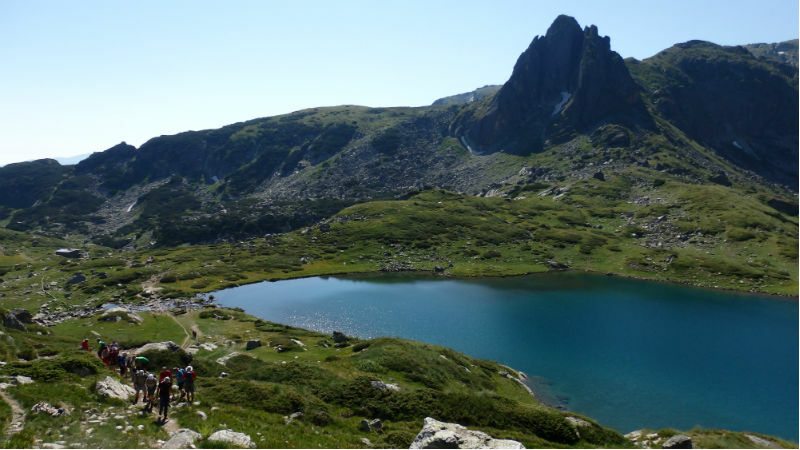 Spend the day in Rila, walking around its pearls: The Seven Rila Lakes. 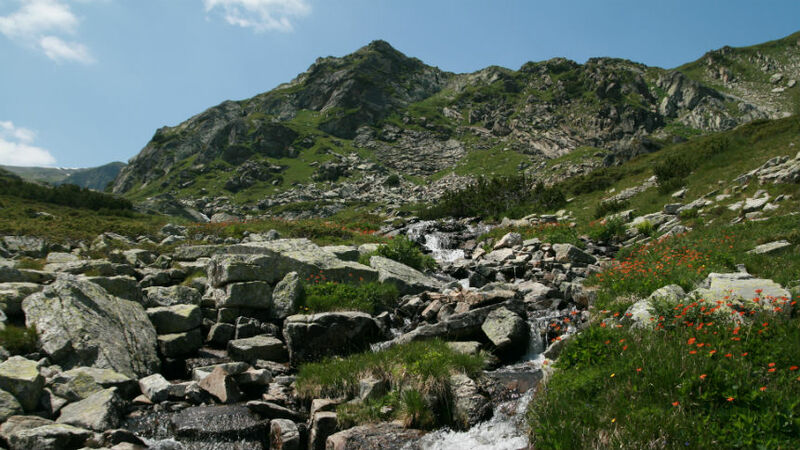 During the last few years this destination has become one of the most popular places for one-day hiking tours in the Rila Mountains. The reasons are several: impressive nature beauty, easy access by chairlift, variety of paths and hiking routes in the area. If you wish to make your walk harder or easier your guide will be able to adjust the group programme accordingly. Mind that this is a group tour, so the pace is decided among all participants. A transfer from Sofia takes us to the Panichishte Resort cable car with the help of which we reach the Seven Rila Lakes Cirque. Then we start exploring them one by one. Each lake is named after its most characteristic feature. The highest one (at 2500m/8200ft above sea level) is called Salzata ("The Tear"), from where we have a bird’s eye view over all seven lakes, as well as surrounding outcrops and deep valleys; the next one in height carries the name Okoto ("The Eye") after its oval form; Babreka ("The Kidney") is the lake with the steepest shores of the entire group; Bliznaka ("The Twin") is the largest of all; Trilistnika ("The Trefoil") has an irregular shape; the shallowest lake is Ribnoto Ezero ("The Fish Lake") and the lowest one is Dolnoto Ezero ("The Lower Lake"; 2100m/6995ft), where the water that flows out of the other lakes is gathered to form the source of Dzherman River. Food: if you have forgotten to take a lunch pack or a sandwich with you, you can take advantage of the meals on offer in the two huts on our way. The menu is limited though: soups (lentils, beans), grilled meat and some basic meals. Difficulty: this walking route is moderately arduous, with individual brief paths featuring steep inclines. Please bring along comfortable hiking boots. Sandals and flip-flops are not accepted. Rain jacket might be useful in summer as heavy showers sometimes occur in the afternoons. Note that a guided and a self-guided option is available (see below price details). Transfer from Sofia to Panichishte resort and back, English-speaking guide NOT INCLUDED: chairlift tickets, meals, drinks etc. personal expenses; for larger groups or guidance in other languages please ask for quotation) Emergency telephone: +359 884 743 868 FOR MAY AND EARLY JUNE DEPARTURES: The terrain will be very wet and slippery and there will still be snow in the area. Walking in such conditions requires adequate equipment (good trekking boots, waterproof clothes and a warm layer beneath the jacket). The hike is demanding, a good fitness level is also required. Keep in mind that most of the lakes may be covered in snow. In case of bad weather, the tour may not take place!